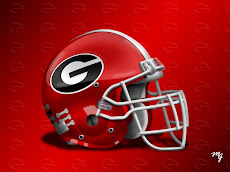 Of all the assistant coaches many Georgia fans felt we could afford to lose, offensive line coach Stacy Searels was the absolute last one we wanted to lose. And we may have come closer than any of us wants to know. 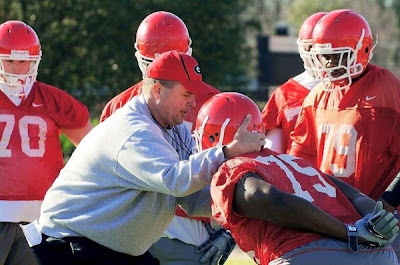 But Coach Mark Richt has announced that Coach Searels has turned down Auburn's flirtation and will remain with the Bulldogs. 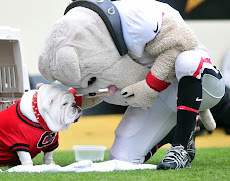 The line coach is the fourth highest paid assistant on the Dawg staff at $235,400, but that figure has been increased to a higher, not yet to be disclosed, sum in order to entice Searels to stay put. 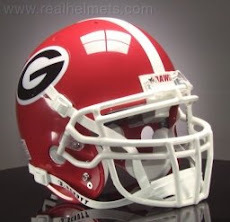 I guess Christmas came a couple of days late for the Bulldogs in regard to this news!